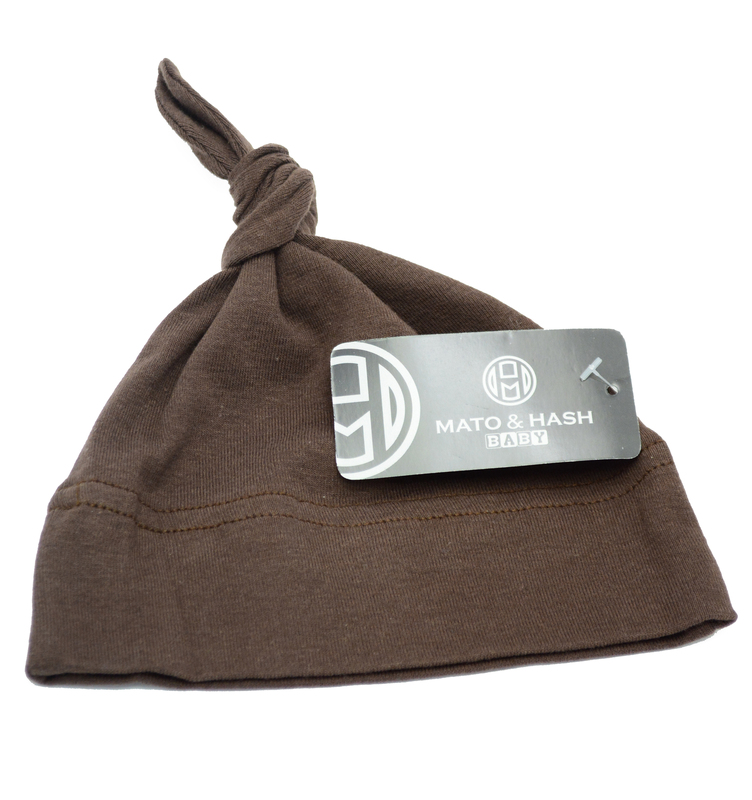 Pamper your baby and your pocket with Mato & Hash Baby Apparel. Keep your baby stylish and warm with these one size fits all adjustable 100% cotton hats for baby boys and girls. 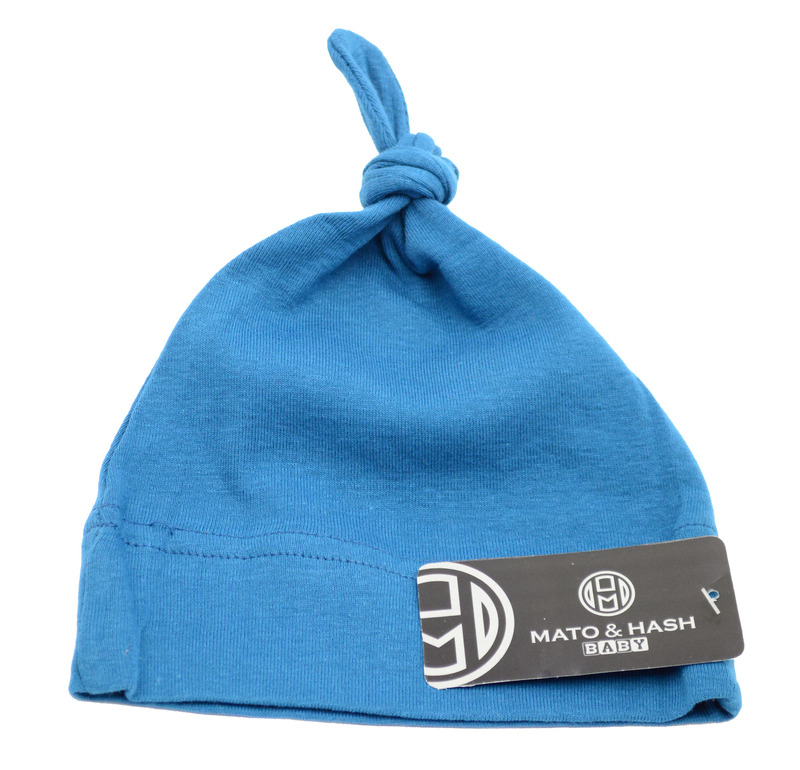 These baby boy beanie hats and baby girl beanie hats can be styled with a knot or left flipped up. 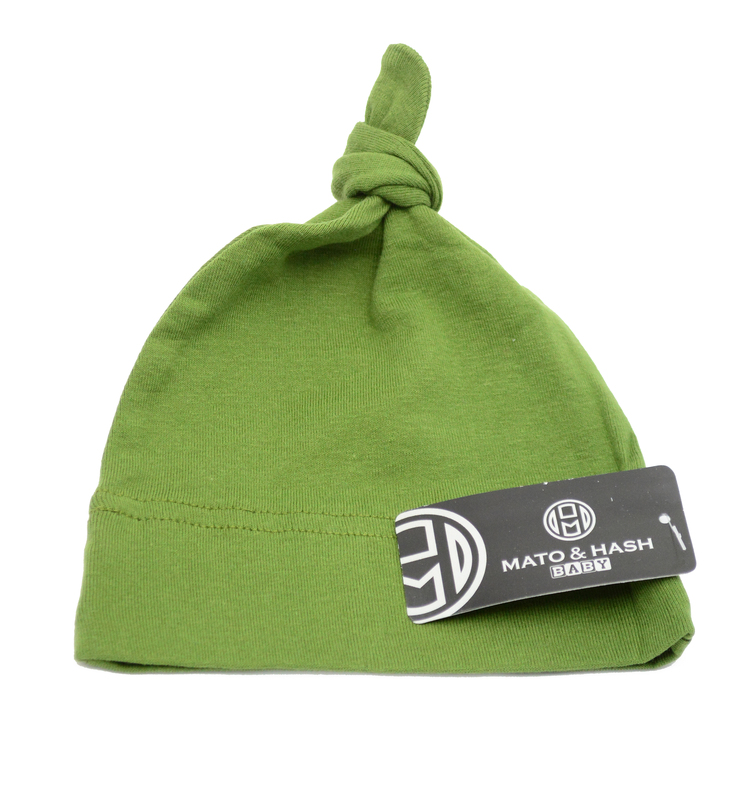 By adjusting the knot the hat can grow with your baby. 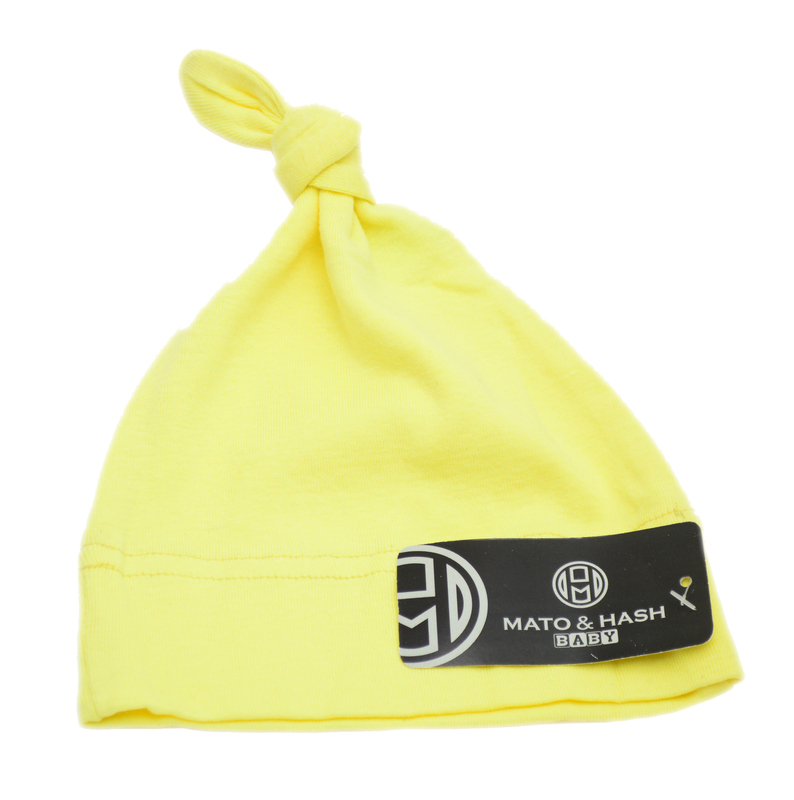 At Mato & Hash we've taken the basic building blocks of your little ones wardrobe and added a pop of color , an assortment of sizes and a price tag that cries stock up! 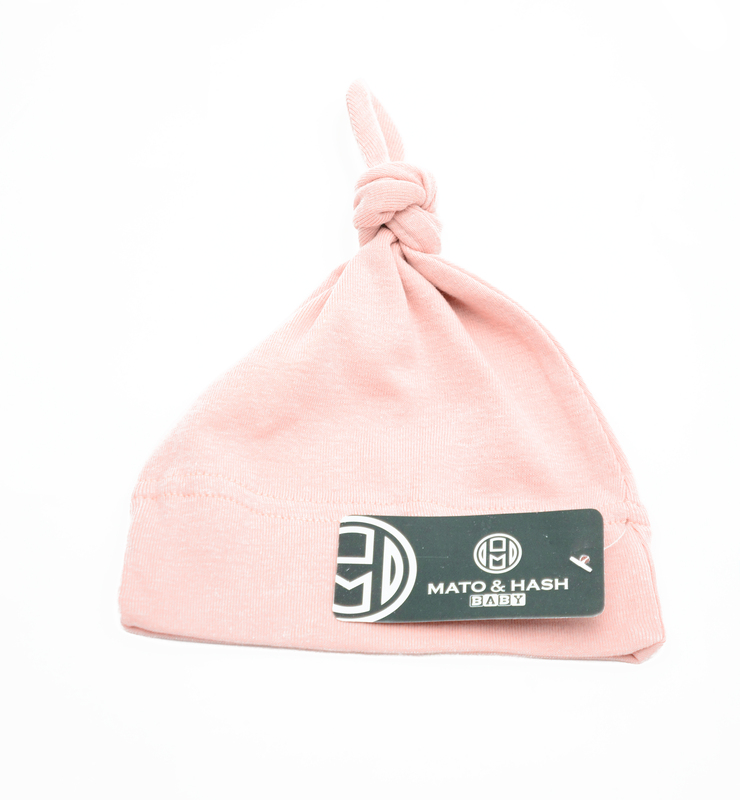 And since we all know a comfy baby is a happy baby we've made sure to use only 100% soft ribbed cotton to create these baby essentials. 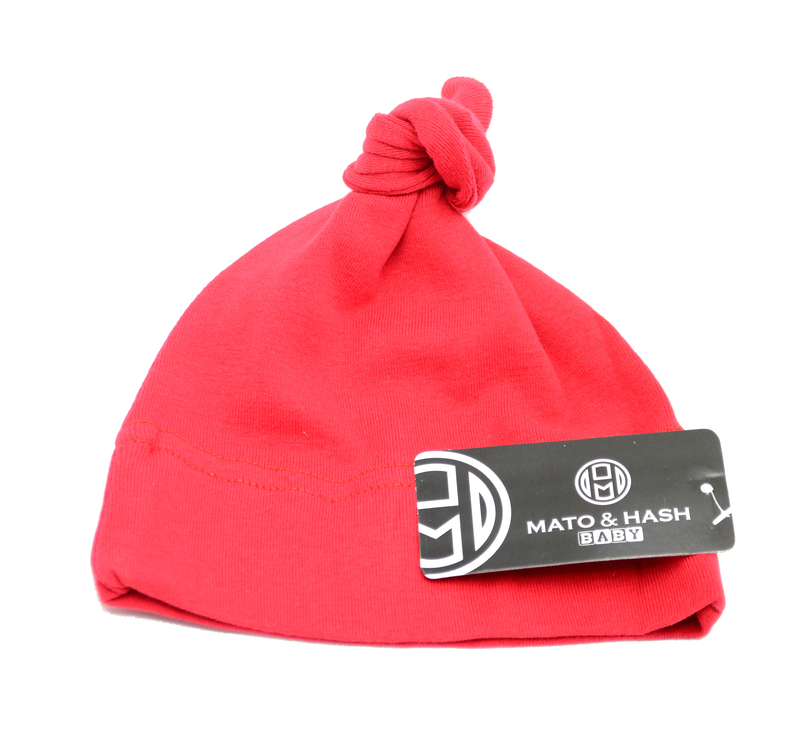 With sizing from 3 months to 24 months Mato & Hash will be there to supply you with all your babies needs until they can dress themselves (which hopefully will be later than sooner). 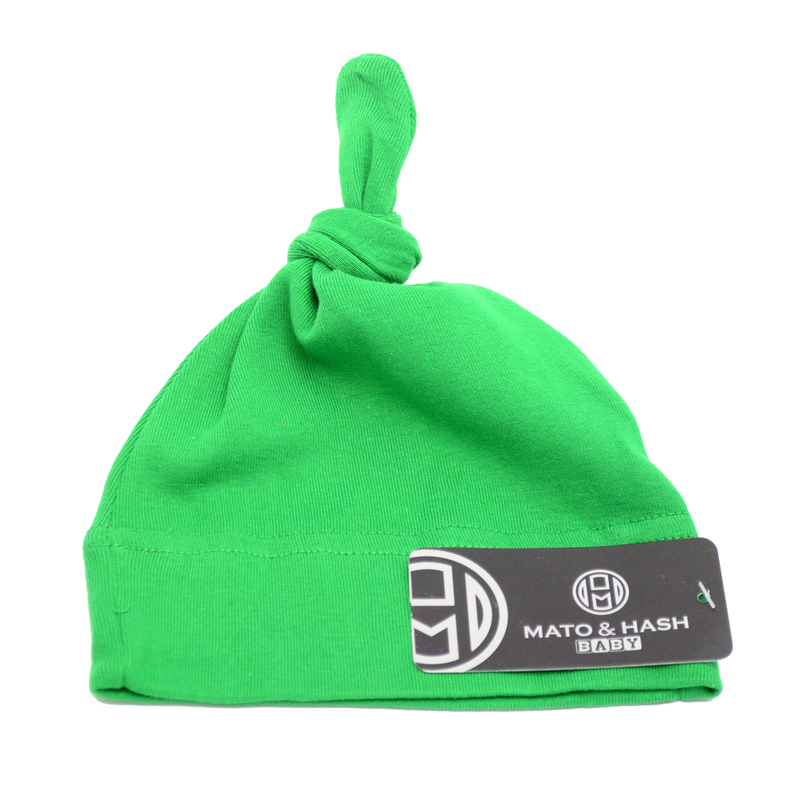 Mato & Hash Baby Also Offers a wide variety of other baby garments such as hats, pants, and onesies so finding matching outfits is a breeze. 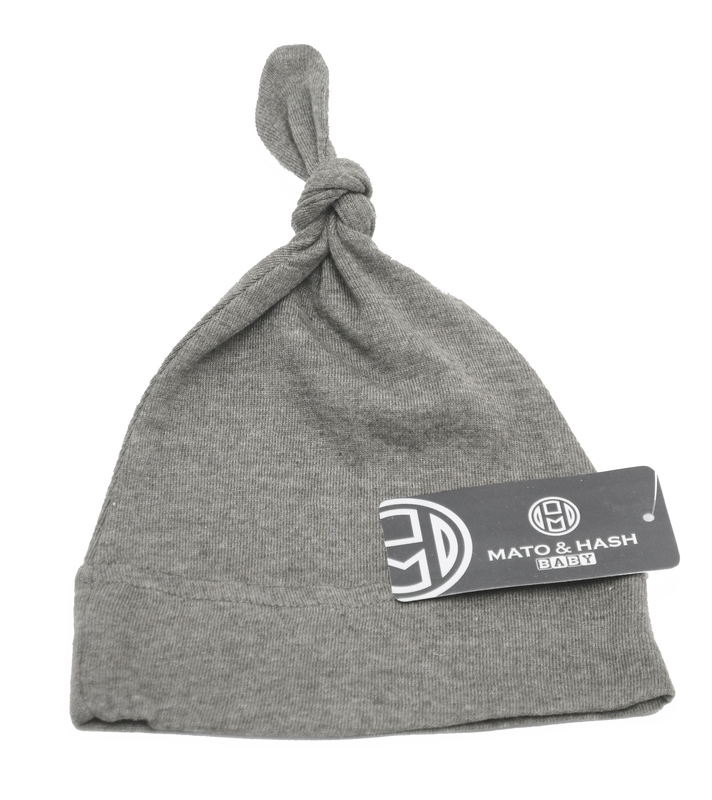 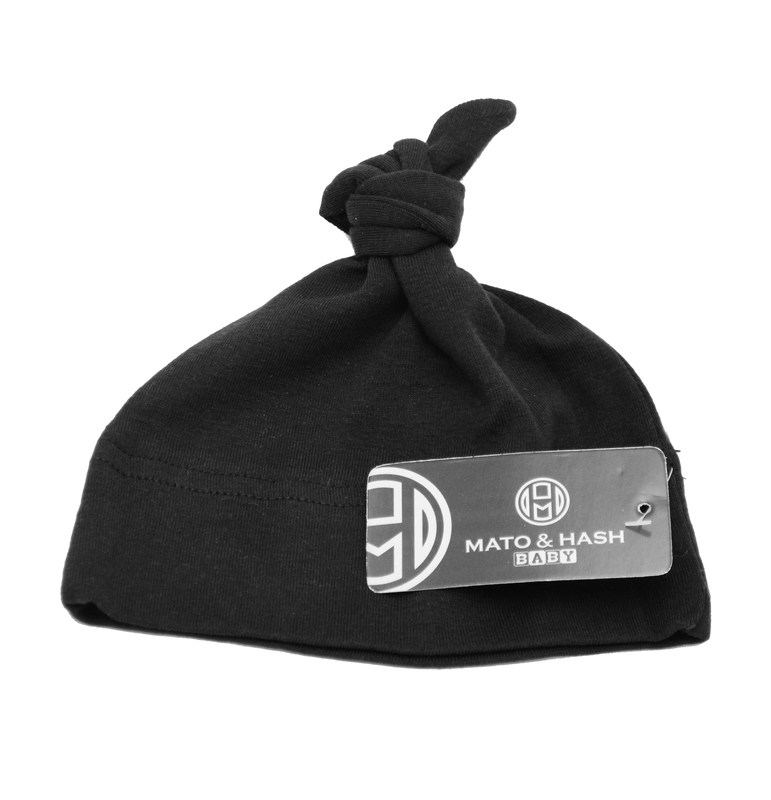 Mato & Hash Baby items are also priced right for large events such as Baby showers. 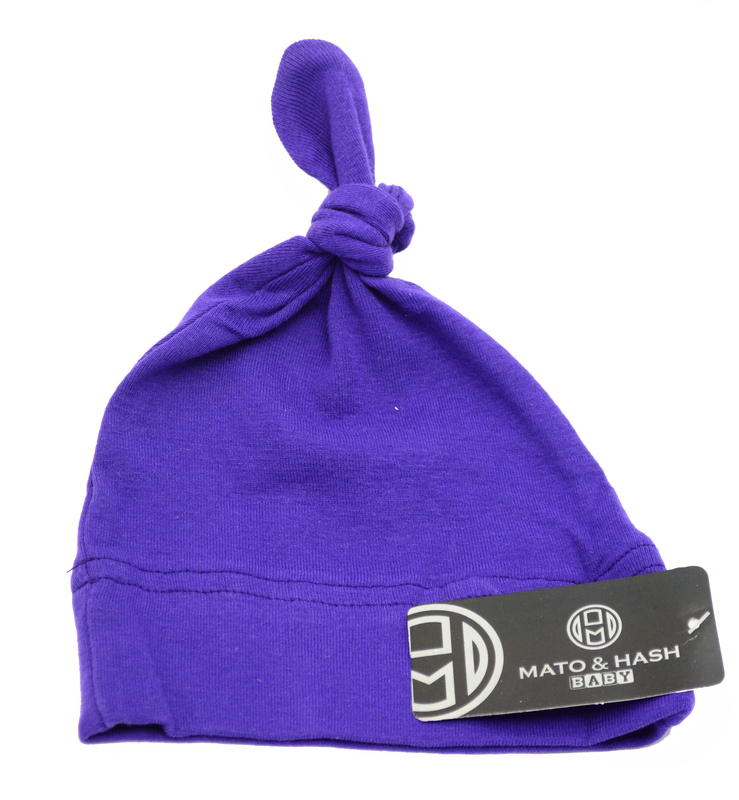 Whether your bringing one for the mom to be, or a dozen for the partygoers to do designs on Mato & Hash Baby apparel is a great gift.